When Pekka returned back home to Finland from his time in London and the London Saints we said all the usual “keep in touch “, “you must come back over and see Saints again “(which he did on an almost annual basis) and a throw away “you never know perhaps we’ll all come over and see you on a cricket tour “(because there must be some cricket teams in Finland – surely). Ok this was never going to happen partly due to DT’s tour fatigue but mainly because no-one goes on tour to Finland. 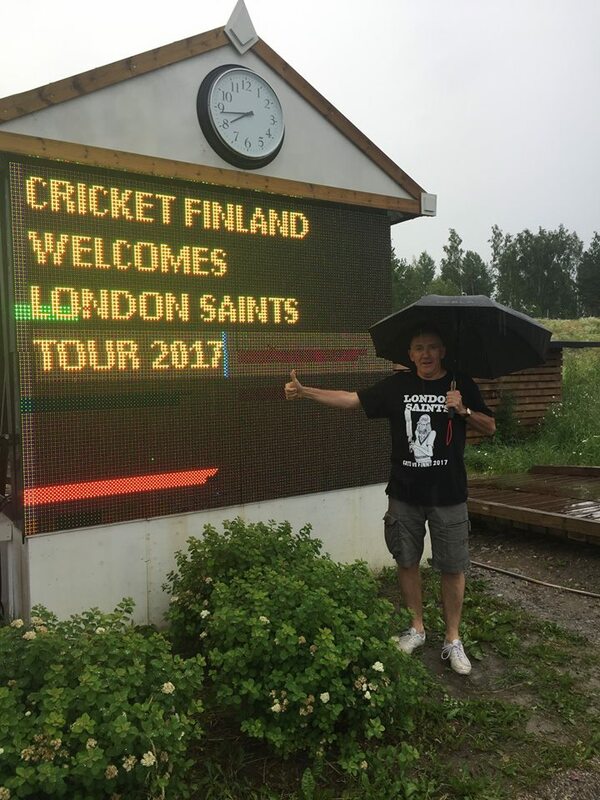 It was mentioned in odd email exchanges but last October Pekka, Oskari and a couple more Finnish Saints were over for the Inter Milan game and as the beers flowed so I soon agreed to gather interest in a potential cricket tour to Finland. Lo and behold interest was ripe and before we knew I had 20 expressions of interest. The internet is a wonderful thing these days making research easy and identifying contacts. We found that there was a developing cricket scene in Finland mainly based around Helsinki but with links into local schools and clubs. 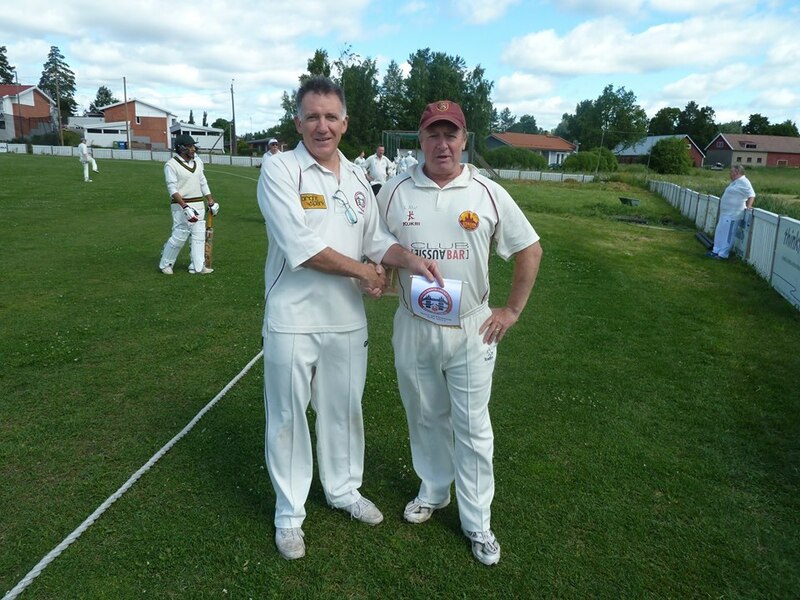 To makes things easier the Chairman of Cricket Finland is a Brit, Andrew Armitage, who has now lived over in Finland for around 20 years and was really enthusiastic when we first made contact. Apart from supporting Liverpool Andy turned out to be a great bloke and a real help in getting the tour off the ground and to run so smoothly. As with our tours to Sri Lanka and Trinidad and Tobago, local knowledge on the ground proved invaluable and we can’t thank Pekka enough for all his help and organisation, linking with Andy, arranging the hotels and transport and our day in his home town of Lappeenranta – none of this could have been possible without his assistance and support. With Terry the Ticket co-opted onto the organising committee a potential itinerary was devised of 4 days in Finland. Unfortunately there is only one grass pitch in Finland, the national stadium in Kerava, which of course we wanted to play on – but so do most teams which means that it gets booked up weekends so we had to travel and arrange to play Thursday and Friday and then decide what to do at the weekend. Pekka suggested travelling up country some 200km to his home town of Lappeenranta for a night. 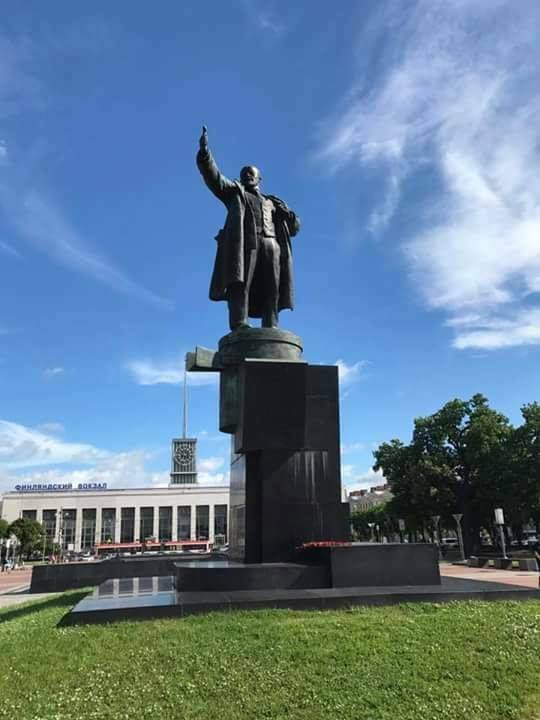 With Lappeenranta being only a short bus ride from the Russian border, the Europa League withdrawal symptoms soon kicked in for some and a further two day sojourn into the motherland and a trip to Saint Petersburg was added on for those keen to extend the tour. Momentum was starting to build until it dawned upon me that if Saints were to win the League cup and qualify again for the Europa Cup, our qualifying games would only be a few weeks after the Finnish tour and expense may enter people’s equations. This didn’t deter many though as numbers booking increased on a regular basis and when we reached 25, there was no turning back. The final tour party numbered 36 with 18 doing the 4 day option in Finland, 16 more doing the 6 day option including Saint Petersburg and Eric and Mick choosing to do a 5 day option which turned out to be a 7 day option as their flight home was cancelled. 36 became 34 as the Yogeswaran’s pulled out courtesy of a doctors sick note and then 34 became 33 as the former travel editor of The Times displayed his usual disregard for forward planning and decided to risk travelling all the way up from deepest Dorset on the morning of an early Heathrow flight in his ancient soft top sport car. Not surprisingly we received many updates on the progress or lack of progress of the AA (other roadside assistance companies are available) in attending his stricken vehicle somewhere near Stonehenge. With the party in shock over Lord Lucan going missing again we boarded the plane with the skipper pleasantly surprised that the playing squad were being relatively sensible in avoiding alcohol with our first game due to take place that evening. Having safely arrived and checked into our hotel we departed for the national cricket ground in Kerava around 15km outside Helsinki, under heavy skies. In fact it was more than heavy skies; it was persisting down with the forecast not looking good for play. We arrived at the very picturesque ground to be greeted by Andy from Cricket Finland and the electronic scoreboard welcoming us. It quickly became clear that play was not going to be possible but never fear we moved onto the other things that we are good at: drinking beer and eating the fine food that had been laid on for us. We socialised with the opposition and decided to prepare in the best way we know for the game the next day when the forecast was much better. The preparation took the form of some alcoholic entertainment in a bar close to the hotel including a massive killer pool competition eventually won by Trigger. With the big game starting at 11.00 next morning most of the sensible one’s left the bar by 2.00am but a few stragglers could be found at a kebab house around 3.00am. We awoke next morning to blue skies, some sore heads but all keen to experience sunny Finland. The non-players went into Helsinki for a day’s sightseeing before joining the playing members of the party at the ground later in the day. The team, well the squad of 17 and support staff, left for the ground, which looked resplendent in the sun. Cricket Finland have done a marvellous job in creating the ground, the surroundings and pavilion. The game itself was very enjoyable though ultimately the Groundsman’s Select XI were just too strong and we ran out of steam chasing their total in our 2nd 20/20 innings. The two fine match report from Mark Barber (Part 1) and Eric Shadick (Part 2) can be found on the below links. 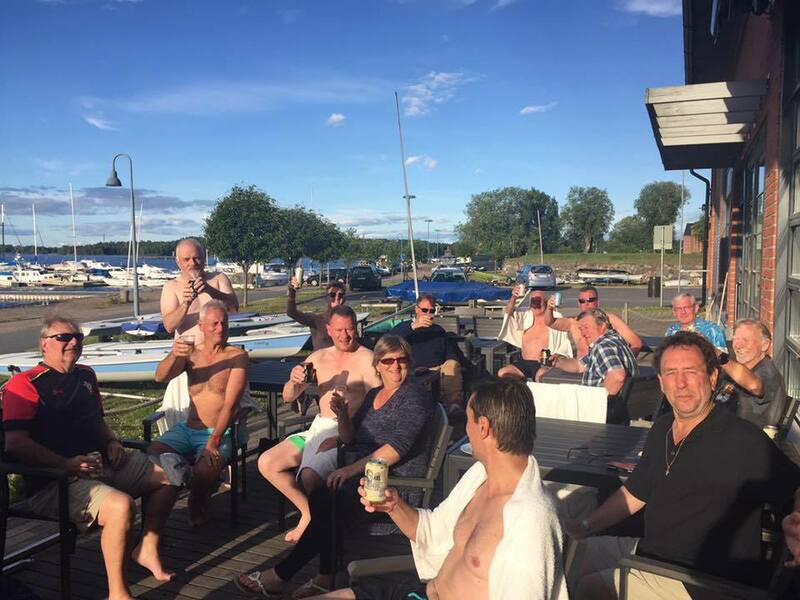 We enjoyed great hospitality again from Cricket Finland who as well as providing a great tea laid on a bar-b-cue for us after the game and with the party back up to its 30+ mark, the beers could flow. With alcohol so expensive in Finland we had arranged with Andy for him to purchase cans etc. at off sale prices and sell to us via a giant whip – thanks at this stage to Terry who kept tabs with everyone’s drinks both tonight and the day before and to Treasurer Nick for handling the money and to my right hand man Mr Mayhew for collecting / coercing funds off all. We stayed socialising in the evening sun till around 10 before departing back to the hotel where various bars, karaoke or live bands kept everyone amused until the wee small hours. The next day we had all agreed to travel up by train to Pekka’s home town of Lappeenranta some 200km north east of Finland. I must admit to not knowing what to expect especially the promised ‘sauna ‘experience later in the day. We had nothing to be worried about for as soon as we got through more Finnish trees on the journey up, Lappeenranta at the foot of the Finnish Lake District was a very pleasant surprise. In beautiful surroundings the town has a lot going for it with wonderful clean air and once again a lovely sunny day. After checking into the hotel the party split up for the afternoon before eventually congregating at the Lappeenranta Yacht club in the early evening – and what a great evening it turned out to be as Pekka, Oskari, Yukka and Jaakko had hired out the yacht club with its sauna adjacent to the lake (handy for a dip after the sweltering sauna) for our exclusive use. They laid on a bar-b-cue and accompanying food and arranged for all the drinks to be on tap. Great thanks to them for the evening and all their help in organising the whole tour. The evening / night (still light past midnight with glorious scenery) which included another killer darts / spear throwing event ended with speeches, farewells satisfied customers as well as hosts whom I’m sure were glad that we had so enjoyed their town and hospitality. The party split a number of ways with some leaving the hotel early in the morning for some sightseeing in Helsinki, other taking the more leisurely approach and journey back to the airport and the remainder heading off to Russia. There won’t be too much detail here of the time in Russia as only half the party went there and arguably the cricket tour was over, but a few highlights…. Passport control was closed when we arrived to check in for our train to Russia so a short adjourn to the station bar was called for. Security on the train at the border was quite intense but happily we all passed through with no problems. Finding a taxi and our hotels(s) was another matter as Del Boy’s Reliant Robin would have been preferable to the jalopy that we eventually found and through language difficulties we eventually found our hotel(s). A trip to the impressive and huge Hermitage Museum was followed by food and drinks and more drinks with half the party ending up in a vodka bar which saw some of the party described as ‘ slight worse for wear ‘ !! 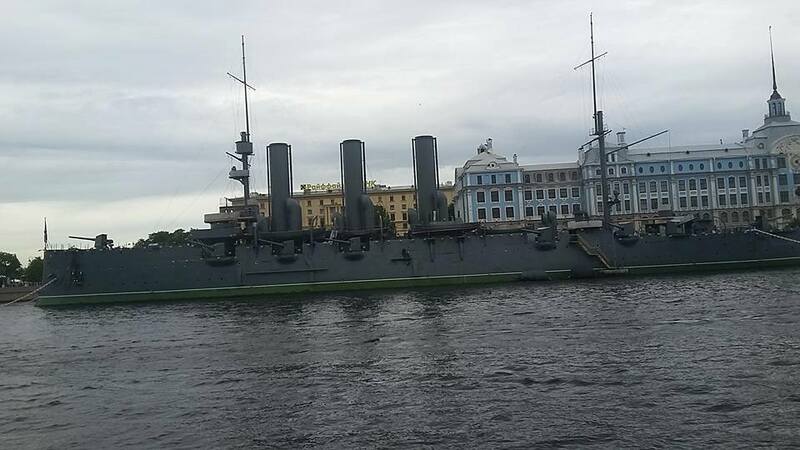 The Saint Petersburg group went its separate ways during the day to enjoy the various sightseeing and bus and boat tours on offer before ending up back togetherin a bar / restaurant down one of the many canals. 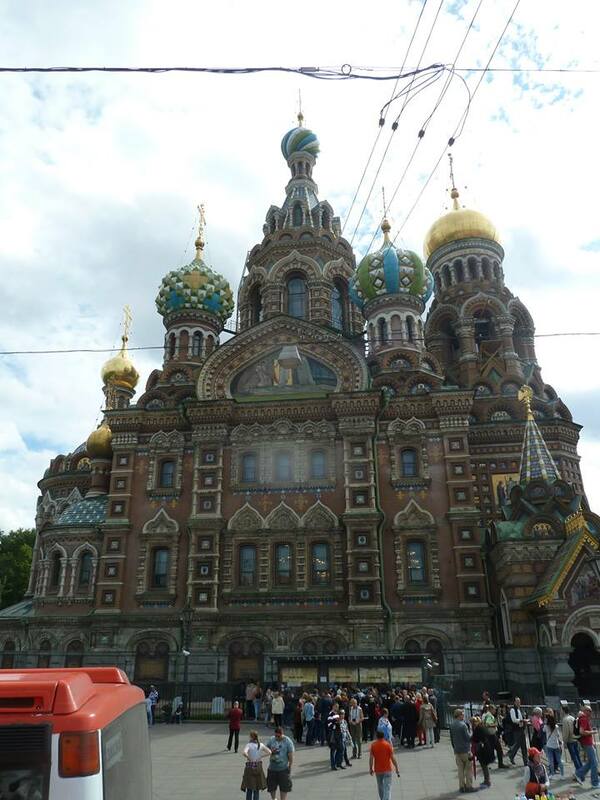 Saint Petersburg is certainly an impressive city, with a lot of history, culture and night life and we only started to get our bearings when it was time to leave – certainly worth another visit. Time for the rest of the party to head back home and brunch in the buffet bar washed down by beers (or in Cheryl’s case another bottle of Prosecco!!) to use up our remaining Russian money. 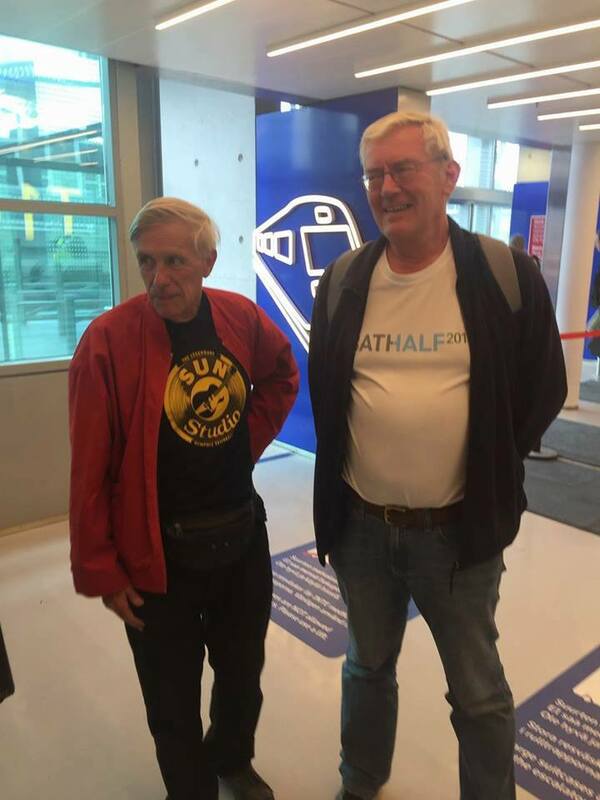 We arrived at the airport to be greeted by Eric and Mick who were still stranded after their flight the day before had been cancelled – Mick was hopefully flying back that night via Stockholm with Eric flying back the next day. With Mick safely home via Sweden, Eric was last man standing with his delayed flight meaning that he didn’t arrive back until 7.30pm almost a week after he had left. Well a tour with a difference which hopefully catered for all tastes with a bit of everything thrown in, perhaps reflecting the age range and different interests of the tour party. 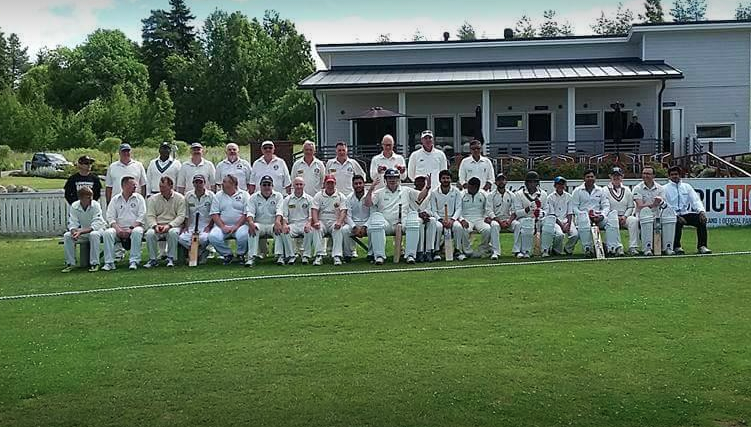 Not many teams travel to Finland to play cricket, we were one of the first and hopefully many more will choose to go and enjoy their hospitality and improving cricket scene. Thanks have already been given in this article to those involved but once again thanks to Pekka, Oskari, Jukka and Jaakko for all their help, advice and hospitality.